Patricia (Pat) Lassell of North Las Vegas, Nevada passed away at Infinity Hospice Care with family by her side on August 24, 2017, at the age of 71. Graveside memorial services will be held Friday, April 20, 2018 at 2:00 PM at Terrace Lawn Memory Gardens, rural Montevideo, MN. After the grave side services, the family is having a get together at the VFW club, and would like everyone to stop in! Pat was born October 28, 1946 in St. Paul Minnesota to Turman and Irene (Lund) Jordahl. She graduated from Montevideo High School in 1964. She married Lyndon (Lyndie) Lassell on December 3, 1967. While in Minnesota she worked at Montevideo High School Math Dept., National Bushing as a bookkeeper, owned the Singer Sewing Center, and was the News Director at a local radio station. In 1994 Pat graduated from Mankato State University with a BS in Nursing and worked at the Montevideo Hospital until she and Lyndie relocated to Fairbanks, Alaska in 1994. 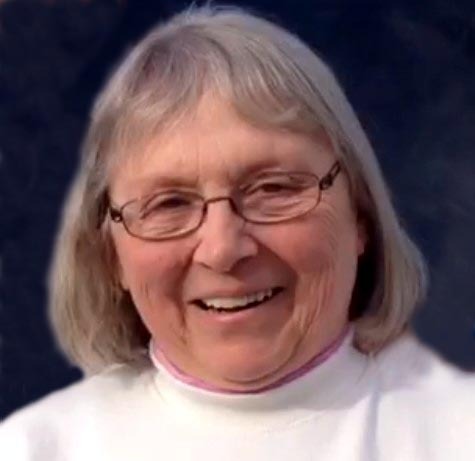 While in Fairbanks Pat worked as a registered nurse at Tanana Valley Clinic, and as a school nurse for Tanana Middle School and North Pole High School. After retirement, Pat and Lyndie moved to North Las Vegas in 2010. Pat always had a smile on her face and was full of love. She impacted so many people throughout her life and cherished spending time with family and friends. Some of her favorite things to do included cheering for and supporting her kids and grandkids, quilting, reading, and bowling. Pat is survived by her husband Lyndon Lassell of North Las Vegas, daughter Tanya (Brad) Coty, and their children Joseph, Kayla and Jacob Rauenhorst, Christopher and Carine Coty; Son-in-Law Ron Templeton and children Patrick Lassell, Tanner and Taylor Templeton; her brother David (Nancy) Jordahl and nephews Chad and Wade Jordahl. Pat was preceded in death by her parents Truman and Irene Jordahl, and her daughter Jennifer (Lassell) Templeton. Her family is comforted in knowing that she is at peace and together again with her parents and daughter and no longer living with Alzheimers. In lieu of flowers, the family requests that donations be made to the Infinity Hospice Care Inpatient Facility, 6330 S. Jones Blvd, Las Vegas, NV 89118.